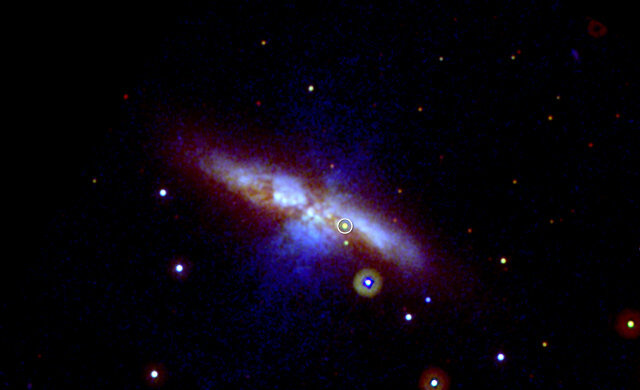 A research conducted by a team led by astronomer Peter A. Milne of the University of Arizona published in two articles in the “Astrophysical Journal” shows that Type Ia supernovae can be divided into two groups with different characteristics. For years, astronomers had thought that their brightness depended almost exclusively on their distance. This can have consequences on our knowledge of the universe expansion, also calculated based on this type of supernovae. Research on the origin of the Moon agree more and more on the giant impact hypothesis. According to this theory, about 150 million years after the birth of the solar system, the early Earth was hit by a planet the size of Mars. This caused the expulsion of a huge amount of debris that formed the Moon. 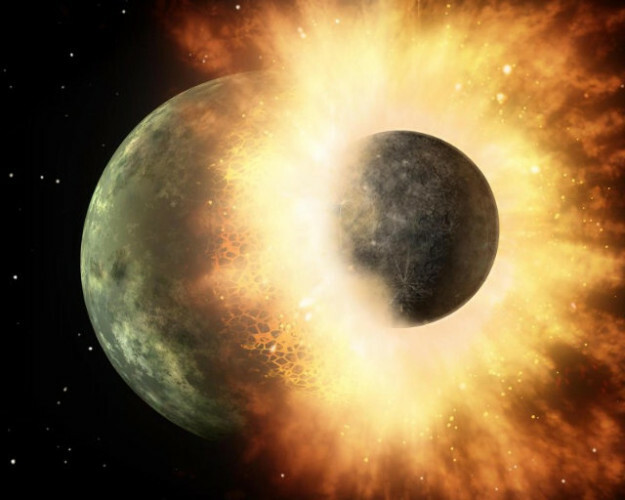 Doubts still exist concerning the composition of the Earth and the Moon but two research just published in the journal “Nature” add new information about the giant impact hypothesis. Yesterday in Washington, D.C. there was a NASA panel about water and its connection with the possibility of finding extraterrestrial life. 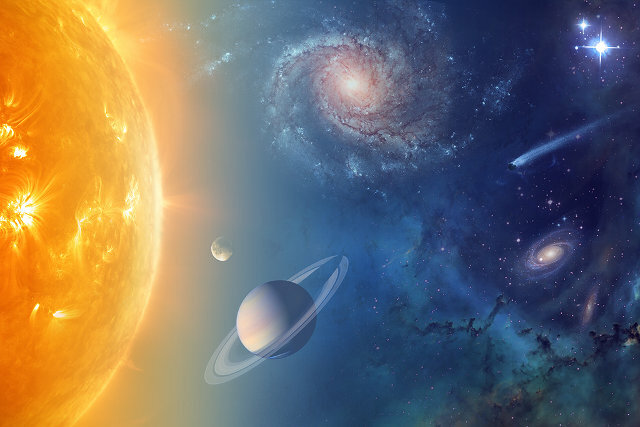 Some scientists summarized the findings of recent decades obout the presence of water in space and exoplanets. According to Ellen Stofan, chief scientist at NASA, in the course of our life we ​​may finally have an answer whether we are alone in the solar system and beyond. 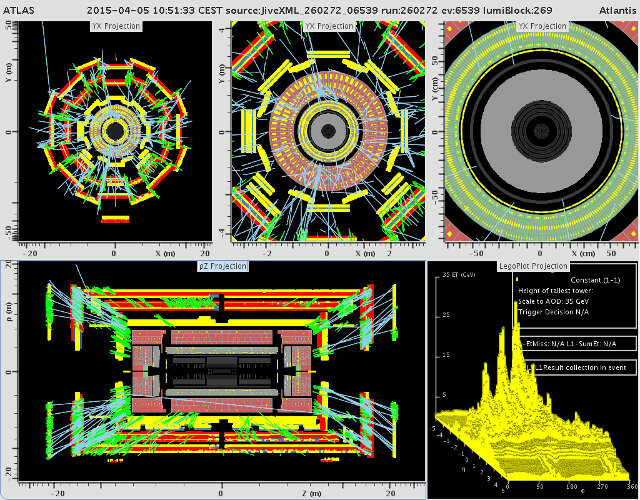 This Easter represented for CERN the time of the Large Hadron Collider (LHC) full operation restart. After the testing that began a few weeks ago, in the morning of last Sunday a proton beam has covered all 27 kilometers (about 17.7 miles) of the giant ring. After less than two hours, a second beam was sent in the opposite direction. The energy was “only” 450 GeV but it was a major event for the restart of the scientific activity. 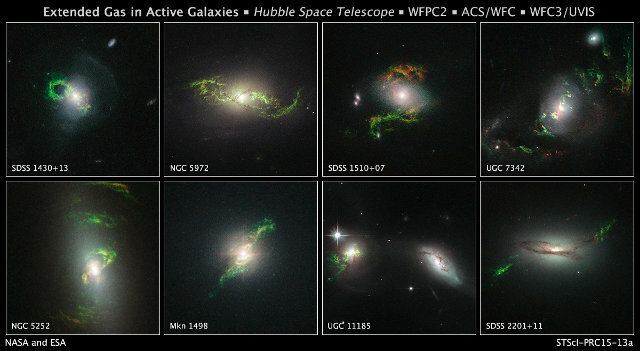 The Hubble Space Telescope photographed a series of ghosts of quasars that existed in the past. They are seen as ethereal green objects in various forms and are the last effects of ancient quasars. These phenomena are very interesting from a scientific standpoint because they can provide information about the past of those galaxies, which were once very active.